Conor Murphy is the founder of Gym Chef, a ready meal brand based in Co. Meath, Ireland. The business was born out of the intense frustration experienced by Conor when he tried to improve his own health and fitness. He found a ‘scary’ amount of misinformation about ‘healthy-food’ and the ready meal sector had little to offer in terms of healthy and convenient food. 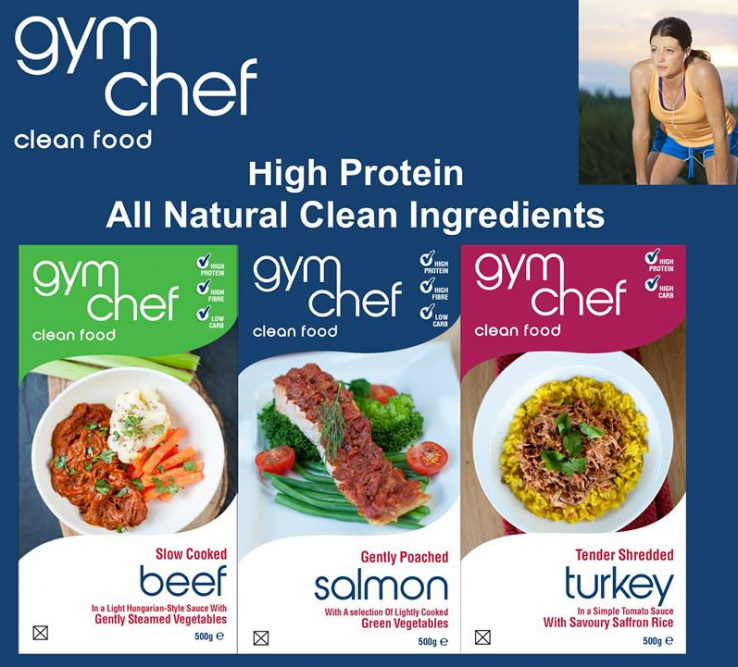 Gym Chef was set up with a simple aim, to make healthy eating easy. The business places great emphasis on providing information about nutrition to consumers. The key messages are – Clean Food and All Natural Clean Ingredients. Conor has a keen interest in health and fitness. He holds a first class honours degree in Sports Management from UCD. After graduating, he spent two years working in corporate sales for Dell Computers before taking a year out to travel. The challenges he experienced in healthy led him to see an opportunity for a business that can make healthy eating easier. He began researching food and the links between food and health in January 2011, as part of a personal endeavor to improve his own health. During this process he founded Gym Chef, a ready meal brand with the nutrition and fitness industries in mind. Conor launched the Gym Chef range in 2014 as a pilot and built up a strong sales base through Supervalu outlets and independent retailers. He subcontracted the manufacture to his recipes and strict protocol. In early 2015, Conor reassessed the business and is assessing a new business model of taking over production himself or looking for a new manufacturing partner. We asked Conor for his top 3 tips from his experiences to date..
Focus on the product from the start. When you get your product right, everything else will follow. Don’t be surprised or offended if there isn’t the demand for your product that you expected. Listen to the feedback you get, and re-design your product into something people want, and will pay for. Start small and keep it simple. Start with as little investment and risk as you can manage. An out-sourced business model with producers, distributors, retailers etc. sounds great, but is very difficult to manage for a new food business. Sometimes you’re better off doing everything yourself, and only out-source when you absolutely have to. Keep your packaging simple also. There is a trend in food towards where producers are using really basic packaging, a label with some text, and they let the food do the selling. Don’t waste money with expensive packaging designers! Consider alternative routes to market. Selling through a stall at a farmer’s market/food market might not have the scalability you desire, but it’s a good place to start, and to test your product. Treat it as your test bed, get it right dealing directly with the customer, and then look to move on to retail or other channels.